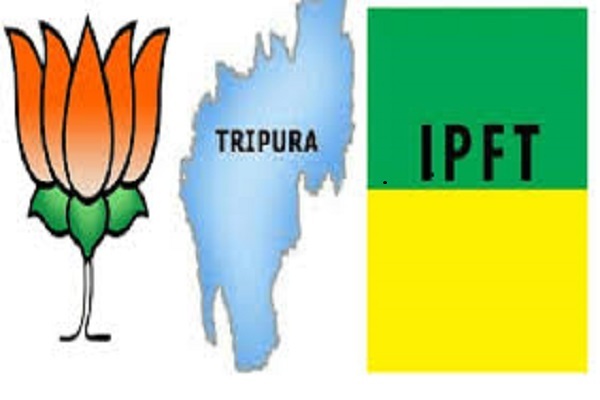 With things not going right of the Bharatiya Janata Party-Indigenous People’s Front of Tripura (BJP-IPFT) alliance in Tripura, NEDA chairperson and Assam Minister Himanta Biswa Sarma is likely to visit the State in the first week of June to hold discussions with IPFT leadership and sort out the hitches that have developed between the alliance parties of the Tripura government. Notably, Himanta had struck the BJP’s alliance with IPFT in the run up to the Assembly polls that was held in February last. Himanta, it is learnt, was briefed about the growing differences between the BJP and IPFT by IPFT general secretary Ananta Debbarma. Sources in the IPFT said that in the recent meeting of NEDA held in Guwahati on May 20-21, the IPFT leadership had brought the matter to the notice of BJP’s all India president Amit Shah who then advised them to discuss the matter with Himanta Biswa Sarma. However, sources in the BJP said that in the Guwahati meeting of NEDA, it had been made clear to the IPFT leadership that the demand for ‘Twipraland’ as a separate state would not be acceptable to BJP but the promised task of forming a modality committee to go in to the problems of indigenous people ‘would be expedited’. Himanta will also hold preliminary discussions on the issue of next Lok Sabha polls.